The Universe loses its density in an age like ours, crammed with sensory-perceptual stimuli that struggle to maintain its hegemony. The tree, the friend and the city vanish. Our sky is where the traffic light shows the red light. There is no earth. On the floor (paved) the memory of that conversation and the list of pending tasks appear again and again. Objects, sensations, smells, sounds are automated. Life goes by and with it we lose the wonder, the surprise. 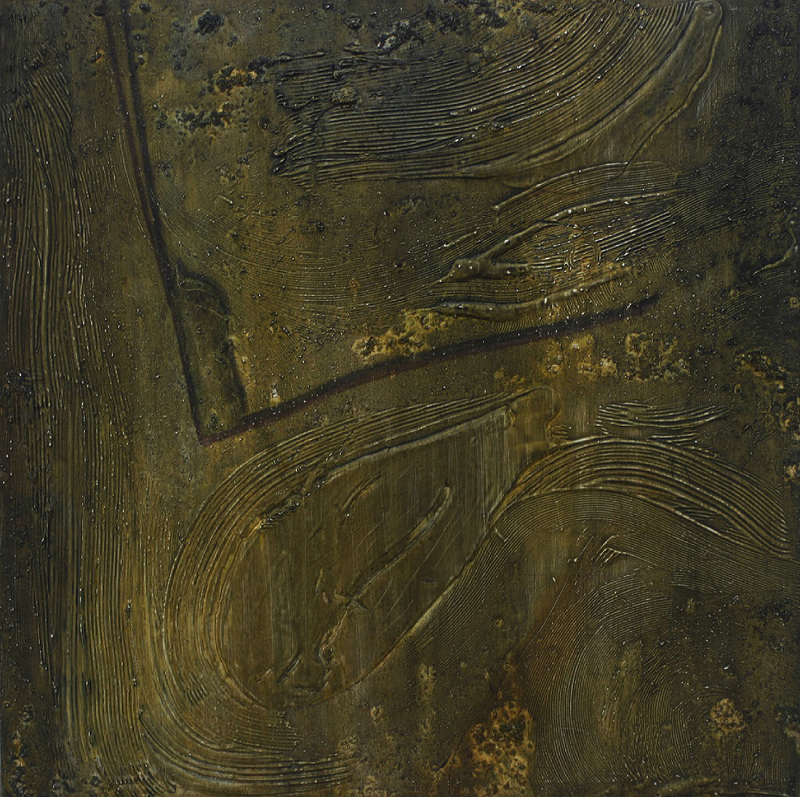 In Susan Buck-Morris’s terms, it would be necessary to create an anesthetic aesthetic that solves the current crisis of perception; which means that what is imminent today would not be to provide the eye with useful tools for admiring aesthetic objects, but rather to restore their capacity for perception. In opposition to this phenomenon that is becoming more exacerbate in the contemporary world, the work of the young creator Dayron Gallardo (Havana, Cuba, 1986) proposes to its spectator to recover the capacity to feel, to see, to listen and in a general sense to be amazed at certain aspects of the Universe. His most recent creative process has been motivated by the impression that two elements arouse in him: the first, the sky, synthesized in the series Horizonte de luz (Light horizons); the second, the earth, whose expression has been evidenced in Far Horizons. 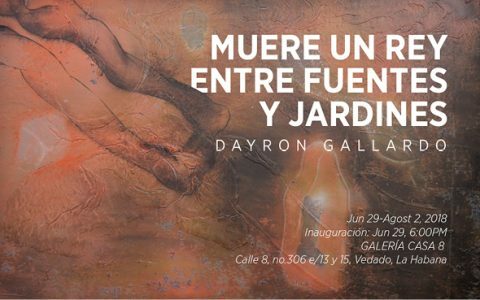 Dayron Gallardo has been discovering the natural landscape, which has meant a truly moving and almost mystical experience. Since then it has been impossible for him to contain himself and paint something different from the landscape, which has led him to form this last series Far Horizons. However, in these works the landscape is not worked from the codes of mimesis. Contrary to the model of the subject and of a purely rational Cartesian artist, his creative process owes much to the sensory side of his work, as his pieces synthesize the sensitive impressions caused by the roots of trees, the flat-topped hillocks that appear suddenly on the edge of a road, the insects that come out of the earth or the fog that touches the leaves when dawn disappears. Hence, the pieces border on the language of abstraction that are born after metaphorically pixelating a closed plane of earth. Dayron experiences a feeling of sublimity before the immeasurable landscape. Through his works he tries to recover the bond between man and nature, which ultimately works as a means to continue studying some subjects that have always interested him: love, God, the soul or beauty. In his pieces he does not print the imprint of a specific context or concrete social dynamics; on the contrary, his work, profoundly metaphysical in nature, is a constant research that tries to decipher the mysteries of existence. 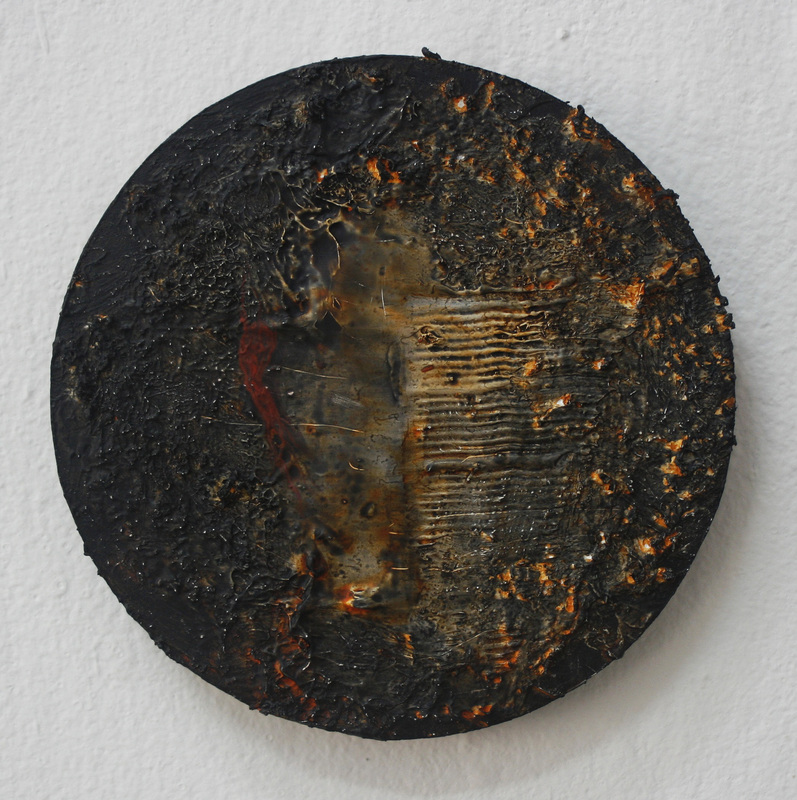 In tune with some very fresh researches in contemporary painting, he tries to explore, border and gradually expand the limits of his own manifestation because through it he feels the limits of his own life. In such a way, an element that distinguishes his work and that has been expressed in this last series are the frames, which have a particular depth, much greater than usual, which means that still pictorial structures border the sculptural. Perhaps this is because his best friends of his years as a student of the National Academy of San Alejandro were justly sculptors and with them he experienced first hand the experience of the sculptor and learned how this last manifestation exercises a constant struggle to conquer space. These profoundly materic structures refer to those “pixelated” planes of earth that motivate his last compositions. His pieces are presented almost from a monochrome palette mostly on gray, orange or ochre tones in which the same color is degraded to its last terms. 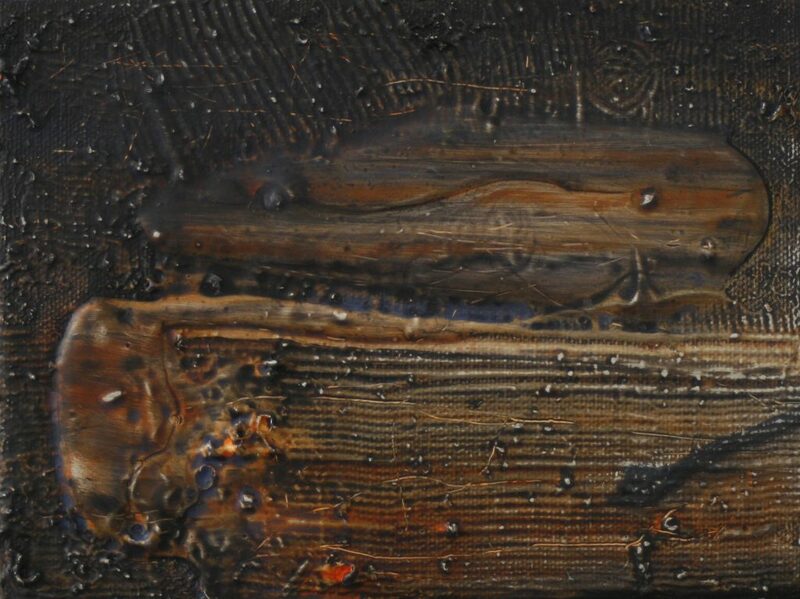 It incorporates to his canvases materials alien to pictorial specificity such as sawdust or earth… They are worked with the waterproof coating to generate a certain similarity with the wood’s own textures, exciting the paradox, the ambiguity before the reception of the pictorial fact. His work distances us from the noise of the big city, from the ambitious pace. It leads us to a moment of calm. It is an invitation to contemplation, to review certain mental states, to experience the ineffable through pictorial form. In a world like ours crossed by the crusade in search of Truth, it is really touching to find a kind of proposal like this artist’s, where not only the final object is the important thing, but the creative process itself and the cognitive balance it leaves. Each piece contains a detailed reflection on the human condition and on the most sensitive and inextricable side of the subject. Dayron, in short, in a purely spiritual exercise proposes to reconnect with ourselves again, with the essence of this subject that in the avatars of everyday life we have lost.